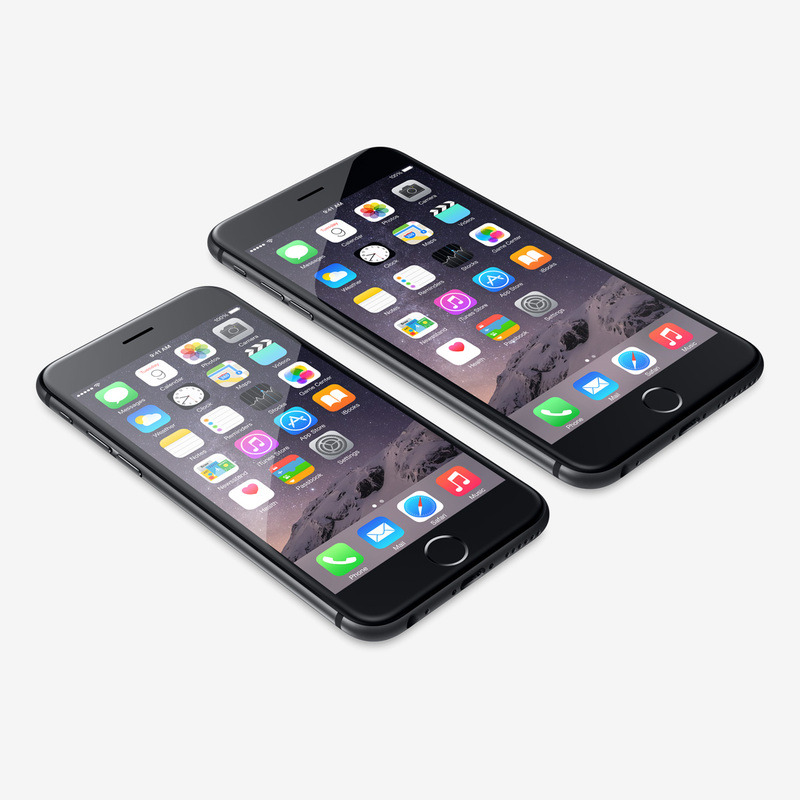 The Apple iPhone 6S+ 128GB is Apple’s current huge flagship phone. If you want dimensions, weight, screen specs, etc., please google them up. I add no value by regurgitating them here. Rather, I want to focus on my user experience, now that I’ve had the thing for several months. How’s that huge form factor working out? Fine. Yeah, it’s big — about as big as a checkbook. But it still fits in my pants pocket. I do not use a case for it unless I’m in the woods hiking as it would be too big, in my opinion. I find it hard to operate one-handed. My thumb can’t reach across or up the screen to get at certain things, and if I try, I often hit something I didn’t mean to. Hilarity ensues, usually accompanied by me sighing heavily. Update. A few people have mentioned the “reachability” feature to me, where you lightly double-tap (not press) the home key, and the screen slides down about halfway. Yes, I’m aware of it, but I left it out initially because I feel it has limited uses. Items at the top of the screen (north-south) do indeed become easier to reach, but reaching across the screen (east-west) is still hard. Plus, you lose the visibility of half of whatever was on the screen, as that content slides off the bottom. No big deal in some screens, but annoying in others. Reachability is a good idea, but it doesn’t change the fact that this is a big phone. Don’t forget that to use this phone one-handed, you have to balance the monster in your hand while pressing things with your thumb. This is not an easy task, made all the more peril-fraught considering how much the stupid thing costs. You don’t want to drop it just because you’re stabbing at an icon in a hurry. Battery life. Tell me the truth. It’s fine. I get a solid day out of it under almost any circumstance, even hiking in the woods with the GPS running and cell signal marginal, causing the phone to poll often. Even flying across country and watching Amazon Prime videos offline doesn’t have me reaching for a power brick. Guesstimate? I get 12+ hours of heavy use out of the device after 5 months or so. Radio reception report: LTE, WiFi, Bluetooth. Cell reception and LTE are fine most of the time, but there are moments where my wife’s 5S has 3 bars of LTE, while my 6S+ is limping along with a bar or two of 3G. We’ve seen the opposite scenario, however, so I don’t have a strong opinion here. Wifi is fine. The phone has an 802.11ac chipset, and connects either of the 2 Apple Airport Extreme APs in my home with no drama, dropped connections, throughput challenges, or other weirdness. In general, I find that the wifi performance on my phone matches the experience I’m having with my other devices, such as a MacBook Pro. Therefore, I consider it unremarkable. It just works. I use Bluetooth on the phone most often to pair with audio headunits in my cars. Pairing always works. Signal is always strong. Music and podcasts are always listenable, even at volume. I also have an earpiece that I pair now and then. Again, it just works. I am running iOS 9.2.1 as of this writing, and have no complaints. Several earlier versions in the iOS 9 family upset me greatly. At the moment, Apple seems to have things sorted. I pray they don’t alter the deal further. I don’t use many of Apple’s built-in apps. For instance, the Podcasts app is irredeemably broken. Many of the rest they force on me aren’t interesting. Here’s how I use my phone. As a phone, but only occasionally. The iPhone voice app interface is familiar and predictable on those occasions I need it. As a chat client. I run the iMessages, Slack, and Google Hangouts apps. To consume media. I stream video via Amazon Prime, or watch it offline. I stream music via Spotify, or listen to offline copies. I listen to podcasts with Overcast. To read e-mail & compose short responses. I gave up on Apple Mail, and am currently favoring Microsoft Outlook. Outlook lets me program swipe functions, which means I can fly through my inbox as most of the e-mail I get is boring crap sent by people who, by inference, hate me. To read newsfeeds. I use the Feedly app, and consume almost all of my feeds via the phone, most often before going to sleep or getting up in the morning. To read books. I use the Kindle app to consume books. I don’t do much of this on the phone, preferring my Kindle. However, a cat chewed on my Kindle Voyage and cracked the touch screen, and thus I’ve been using the iPhone again. It’s…an okay experience, I guess. The 6S+ screen is big enough to work as a Kindle device without wishing I was dead five pages in. For wilderness navigation. I use the MotionX-GPS app for my outdoors jaunts. With the 6S+ screen being as large as it is, MotionX is a great tool. I’m surprisingly happy with this aspect of the phone, as it’s worked out better than expected. At least until the phone gets too cold (around 20F or so), at which time it shuts down. As a nightstand clock. I use the unlocked version of the Nite Time app for this, and rest the phone on a stand in landscape mode. As external biomemory. I track most of my life in Wunderlist, frequently when I’m out and about with my phone. Those are the big things. Yes, I have many other apps I use on my iPhone, but they aren’t nearly as key to my iPhone experience. One comment about apps on the 6S+ is that some apps scale to fit the screen, which makes them look weird — fonts too big, mostly. Apps written for the 6S+ will scale properly, and might also support a landscape view. However, landscape view on the 6S+ is less useful than you’d think it would be for many applications. The screen is big, but not so big that a split pane view makes sense. At least, it doesn’t really work for me. Do you miss your iPad Mini? No. For me, the iPhone 6S+ is good enough to do the things I used the iPad Mini for previously. Not a perfect replacement, mind you. But good enough. Can you type better on the bigger phone? What accessories did you buy? Highly recommended accessories I use every day. Do you really use 128GB of storage? Yes. I shoot video and take a lot of pictures. I also store a lot of video and audio content offline since I travel by jet often enough to care. While the bump from 16GB to 128GB was a ridiculous $200, I’m happy I have the capacity. I don’t have an iPhone “plus” device, but do you use the reachability feature to help with reaching things easier? To use it, you just have to double-tap the home button (note: don’t press, just tap). Hey, Keith! Yep, noted. I am aware of it, just haven’t found it all that useful in real life. I also got some e-mail about reachability, so updated the post to share my opinion on it. Great! I was pretty sure you were aware, but just wanted to comment in case you weren’t. Hope you are doing well!